Thomas Hess studied Business Administration and Computer Science in Darmstadt. In 1995 he obtained a doctorate degree at the University of St. Gallen, Switzerland. In the same year he also worked as a research fellow at Nanyang University of Singapore. After being an assistant to the executive board of Bertelsmann, Prof. Hess leaded a research team at the Institute of Information Systems at the University of Göttingen. In 2001 he was appointed senior lecturer in Göttingen. 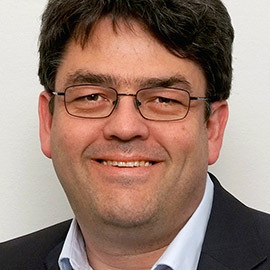 In the same year the Munich School of Management appointed him as full professor and director of the Institute for Information Systems and New Media at the Ludwig-Maximilians-Universität (LMU) in Munich. His current research is focused on digital media management, software economics and IT based management systems. Prof. Hess is also coordinator of the center for internet research and media integration at LMU and Editor-In-Chief of several scientific journals.